Update, Jan 10: Conservation groups hailed the Department of the Interior’s announcement that it had cancelled the last two illegally issued oil and gas leases remaining in the Badger-Two Medicine area. Meanwhile, Solenex’s challenge to the Interior Department’s cancellation decision of its lease is ongoing. The company has asked a federal court to reinstate its lease and authorize immediate road construction and oil and gas drilling in the Badger-Two Medicine area. Representing Blackfeet tribal traditionalists and local, regional and national conservation groups, Earthjustice is opposing Solenex’s arguments. For more than 10,000 years, the Badger-Two Medicine area near Glacier National Park in Montana has provided strength, subsistence and cultural identity for members of the Blackfeet Nation. 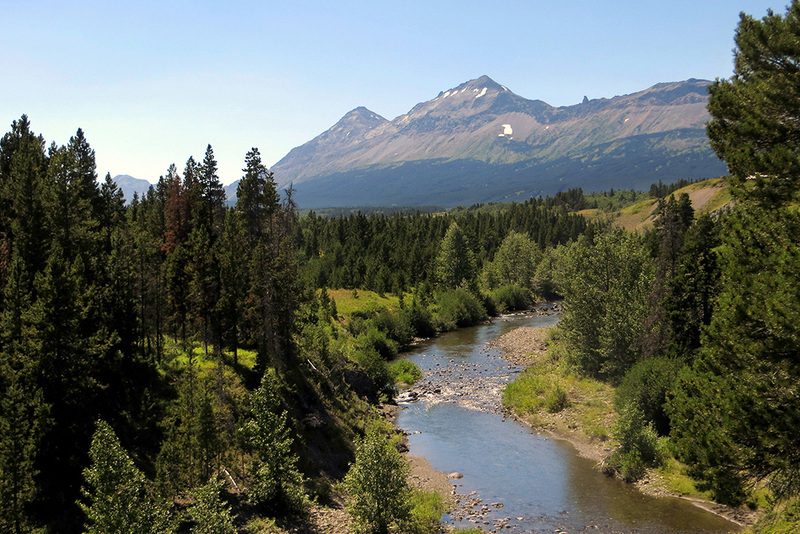 The Blackfeet believe that their people were created among the mountains and springs that rise from where Badger Creek and the Two Medicine River trace their headwaters. But the Blackfeet aren’t the only ones who value the region. The oil and gas industry also have their eyes on the area—and for more than 30 years, they’ve been fighting to drill the hell out of it. Latest Update In This Story (Nov. 16): Solenex has challenged the Interior Department’s lease cancellation decision and is asking a federal court to reinstate its lease and authorize immediate road construction and oil and gas drilling in the Badger-Two Medicine area. Representing Blackfeet tribal traditionalists and local, regional and national conservation groups, Earthjustice is opposing Solenex’s arguments. Meanwhile, a major breakthrough was achieved on November 16, 2016, when the Interior Department announced an agreement with Devon Energy that resulted in the retirement of 15 oil and gas leases encompassing more than 32,000 acres in the heart of the Badger-Two Medicine region. “This is a landmark moment in the decades-long battle to protect the Badger-Two Medicine region, and future generations will be even more thankful for it than we are today,” said Earthjustice attorney Tim Preso. “But the fight is not over. We will continue to advocate for this wild, sacred landscape until the last threat to its integrity is removed.” With the Solenex cancellation and the Devon retirement, only two oil and gas leases remain in the region. Earthjustice will work to eliminate these last leases and will continue to oppose Solenex’s efforts to resurrect the threat of oil and gas drilling on this irreplaceable landscape. Edmo, with her two year old daughter, in the Badger-Two Medicine area. 1 Kendall Edmo, a Blackfeet tribal member, became involved in the fight to protect the Badger-Two Medicine area after learning about the region’s cultural significance to her people—and the threat of oil and gas drilling. 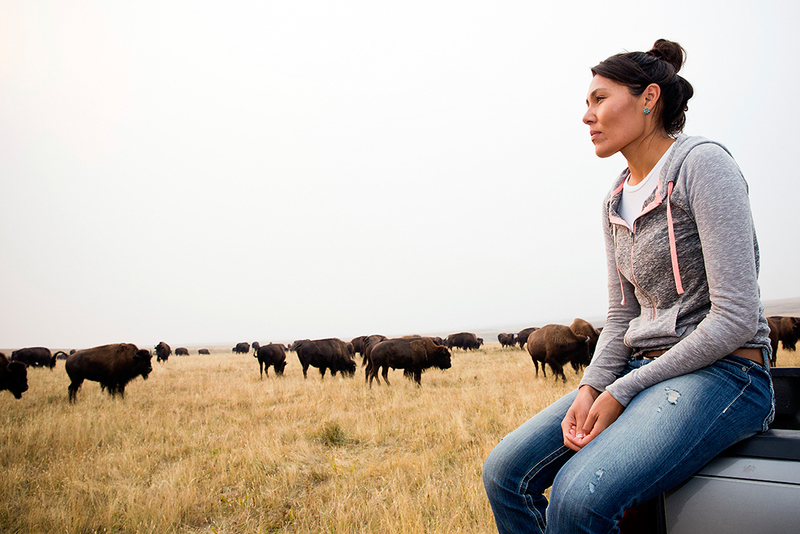 During her childhood, Edmo wasn’t immersed in the Blackfeet language or traditional ways. That changed after she graduated from college and returned to the reservation. 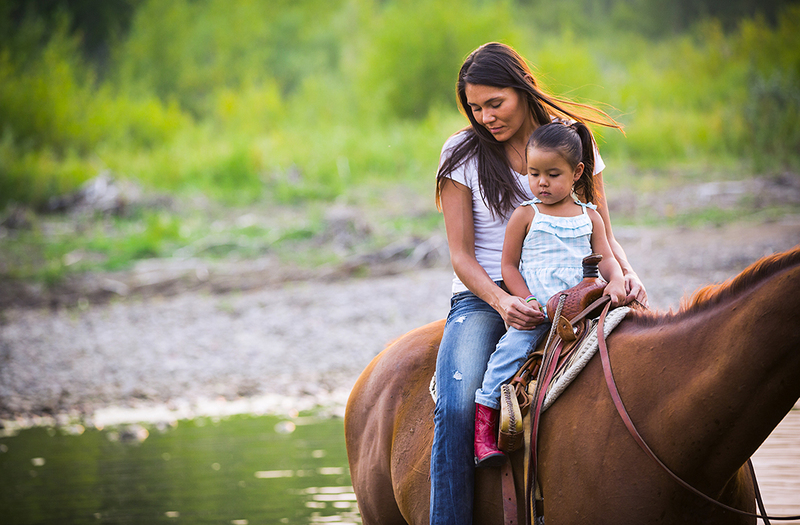 Edmo with her daughter, at her family home in Two Medicine on the Blackfeet Reservation. Edmo with her daughter, at her family home. Edmo, who was previously the Bison Project Coordinator for the tribe, watches over bison at the Blackfeet Nation's Bison Reserve in Browning, Montana. The Blackfeet Tribe's Bison Reserve in Browning, Montana. 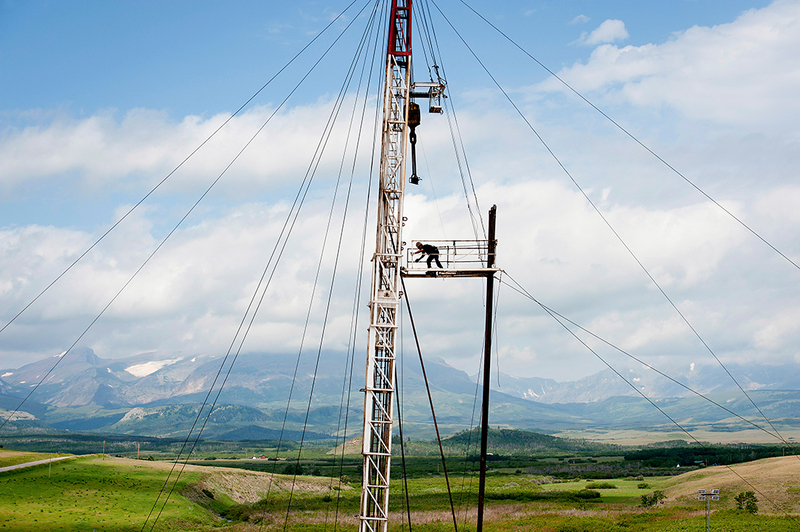 An Anschutz Exploration Corp. drilling site on the Blackfeet Indian Reservation near Browning, Montana, July 20, 2012. Certain parts of the reservation have been opened to drilling. 3 In the 1980s, the Reagan administration issued 47 oil and gas leases in the Badger-Two Medicine area to oilmen for $1 per acre. The leases were granted without tribal consultation, review of significant cultural values or proper evaluation of environmental impact—all required by federal law—and therefore violate both the National Environmental Policy Act and Endangered Species Act. By 1997, a more conservation-minded Forest Service placed a moratorium on any new oil and gas leases along the Rocky Mountain Front, including the Badger-Two Medicine area. Since then, many companies and leaseholders have voluntarily relinquished their leases. A handful of leases remain, though, sitting in legal limbo over the past three decades due to a series of suspensions by the federal government. One of those leaseholders is the Solenex company in Louisiana. In June 2013, Solenex sued the federal government, alleging that it had unreasonably delayed the company’s right to develop its lease. The fight to protect the Badger-Two Medicine area had just taken on a new urgency. The Rocky Mountain Front, stretching from the eastern slopes of the Rocky Mountains to the plains, is home to many of North America's large mammals. Every wildlife species present since the days of Lewis and Clark still exist and roam free—except for bison. Slaughtered by the millions more than a century ago, bison (apart from a few small herds in Utah and South Dakota) are allowed to freely roam today only within Yellowstone National Park. Watch a video (bonus: includes baby bison!) of Earthjustice's work to defend wild bison and restore their freedom to roam. Sources: Trail Tribes; Samek, Hana. The Blackfoot Confederacy 1880-1920. University of New Mexico Press, 1987; Montana Wilderness Association; Loetus Creative.
. 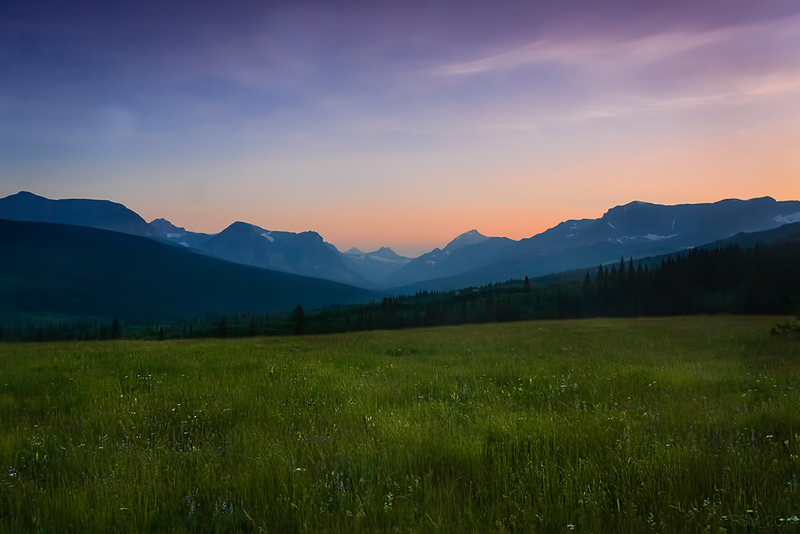 The final land cession of the 19th century occurred in 1895.
is now part of Glacier National Park. 4 The fight over the Badger-Two Medicine area is just one in a long-running series of tribal lands grabs initiated by the U.S. government. Beginning in the mid-1800s, a series of treaties reduced the Blackfeet’s aboriginal homeland by millions of acres. Then in 1895 the Blackfeet lost even more land after a controversial agreement reduced the reservation by another 800,000 acres. This land is located in the “Backbone of the World,” also known as the Rocky Mountain Front, which the Blackfeet consider to be spiritually sacred lands. Part of this ceded strip of former reservation land is the Badger-Two Medicine area, one of the Blackfeet’s most sacred places. Under the 1895 treaty, the tribe sold some mineral rights within the Badger-Two Medicine area to the federal government, but they retained the rights to cut wood, hunt and fish on the land. Some tribal members maintain that they never gave the federal government the right to oil and gas underlying the area. Even if they did, oil and gas drilling threatens the Blackfeet’s long-standing cultural and spiritual interest in this sacred landscape. 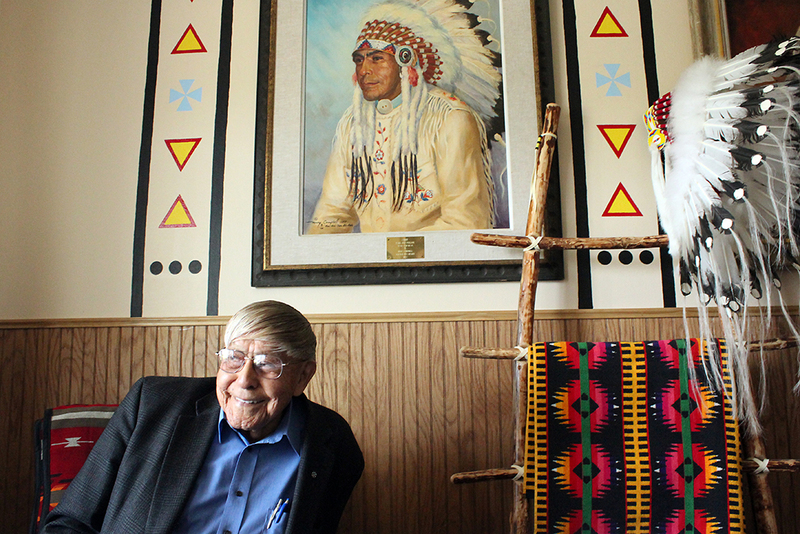 Chief Earl Old Person, in his office in downtown Browning, Montana. 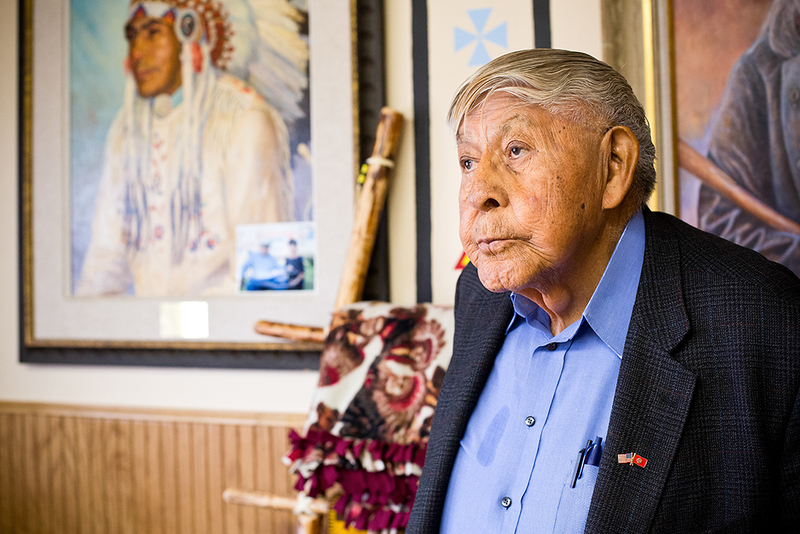 Elected to the Blackfeet Tribal Business Council in 1954, Chief Old Person has been an impassioned ambassador for the Blackfeet Tribe for more than six decades. 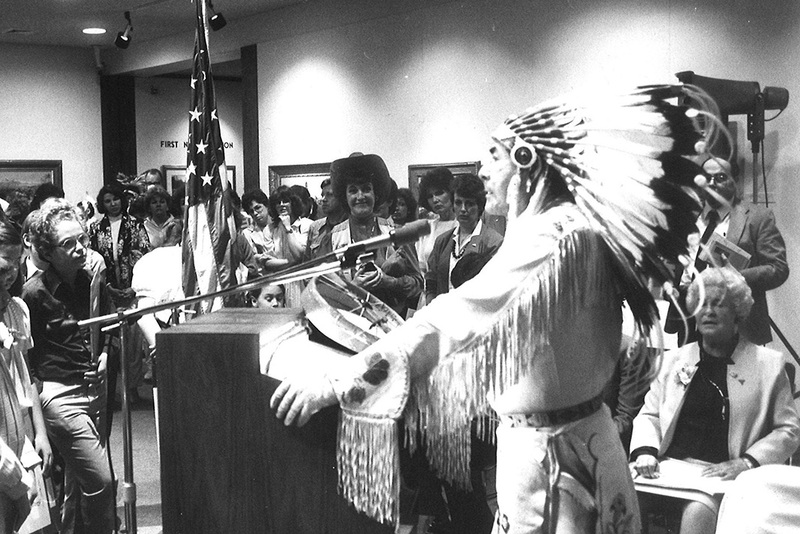 Chief Old Person speaks to a crowd in 1986. Chief Old Person was named chief of the Blackfeet Nation, a lifetime position, in 1978. 5 Blackfeet Chief Earl Old Person has led the Blackfeet people in blocking the Badger-Two Medicine leases and drilling proposals from moving forward for more than 30 years. Elected to the Blackfeet Tribal Business Council in 1954 and chief of the Blackfeet Nation since 1978, Chief Old Person has met with twelve consecutive U.S. presidents, beginning with the Truman administration. Gladstone, Montana's Blackfeet Troubadour, by Two Medicine Lake. 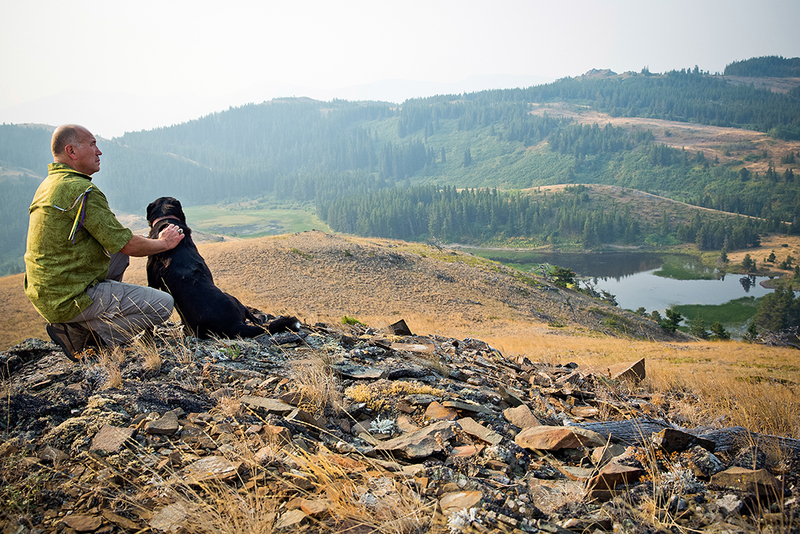 Gladstone hikes in the Badger-Two Medicine area in northwest Montana. Gladstone uses the area for traditional native practices and ceremonies. Gladstone performs at Two Medicine campground, on the border of Glacier National Park and the Badger-Two Medicine area. Gladstone, by Two Medicine Lake. 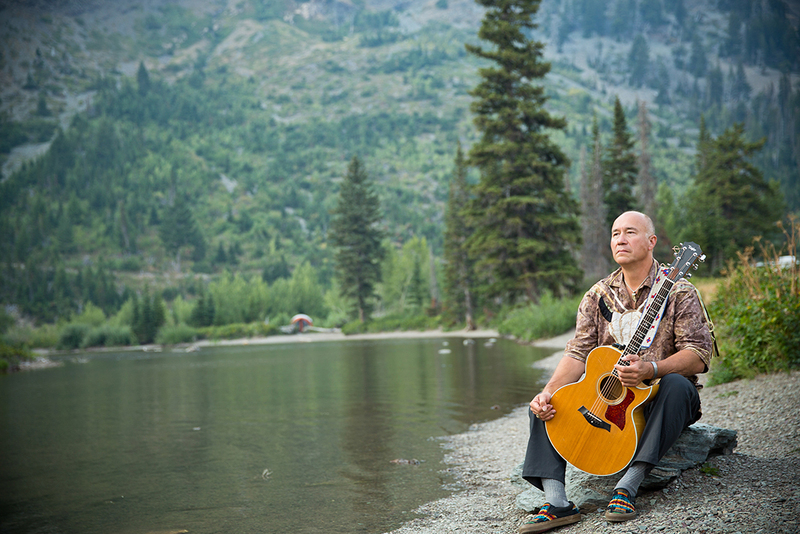 He shares Blackfeet and tribal history and values through songs and storytelling to audiences across the country. 6“Our identity, every cell in our bodies from the time of contact, was composed of this landscape,” says Jack Gladstone, who has likened the drilling of the Badger-Two Medicine area to fracking the Sistine Chapel. 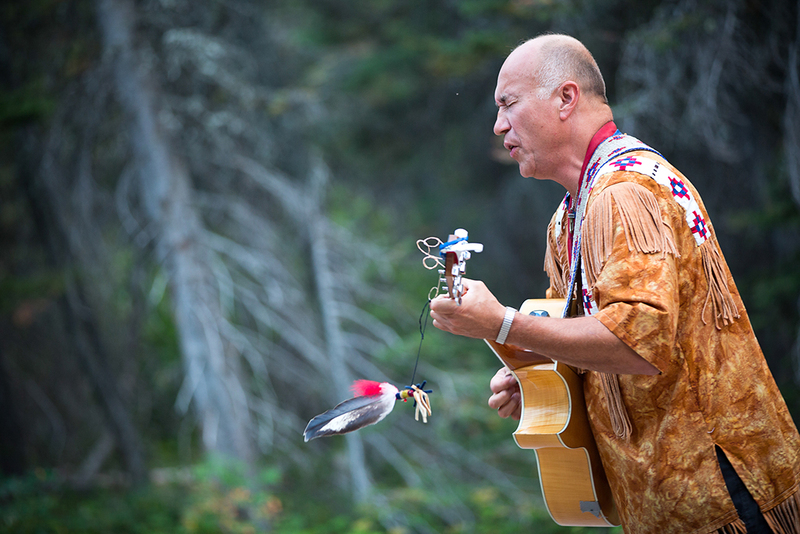 Gladstone is a tribal member who tours the country performing songs about American Indian history and heritage. He’s also the founder of the Blackfeet Headwaters Alliance, which works to protect the waters beneath the Blackfeet’s historic tribal lands. For the Blackfeet, who have lost so much over the past few centuries, the Badger-Two Medicine area remains one of the last strongholds of the tribe’s values. 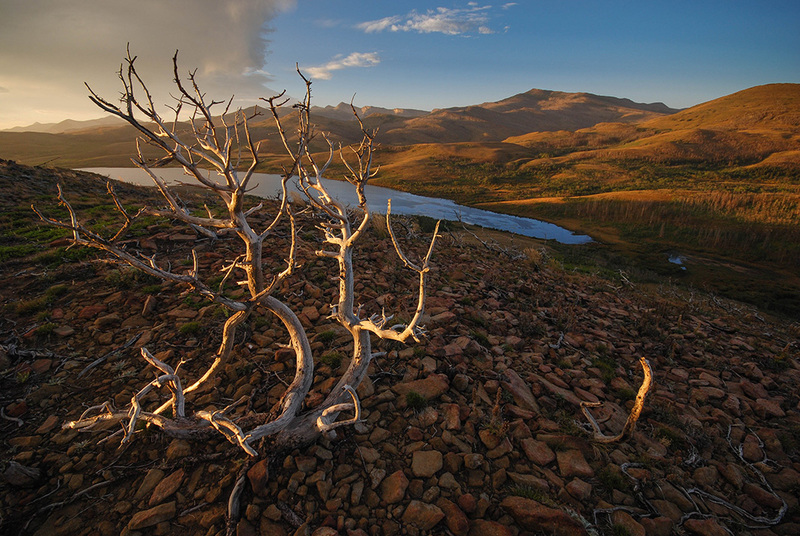 The landscape is a critical part of the oral history, creation stories and ceremonies of the Blackfeet people. For centuries, they have used these mountains and forests to hunt elk and other game, gather plants, collect lodge poles and search for supernatural powers. Today, many tribal members travel to the Badger-Two Medicine area for prayer and vision quests. 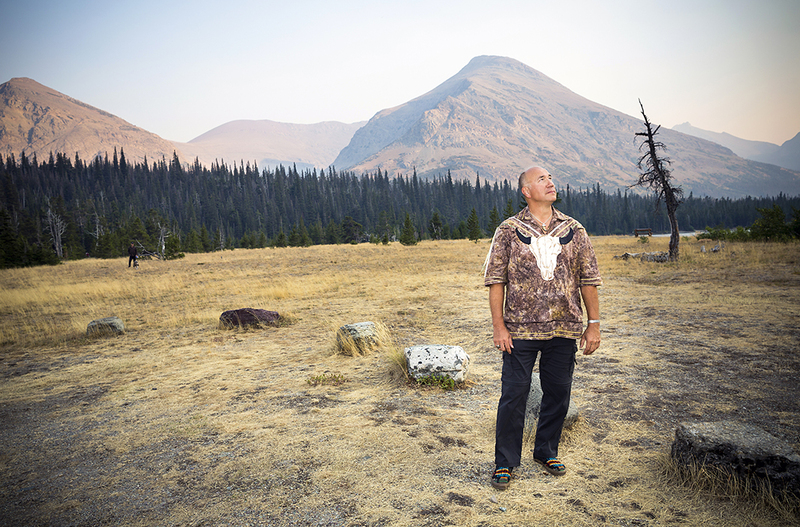 Bruno, founder of Glacier-Two Medicine Alliance, on a trail in Glacier National Park. 7 When the Reagan administration first issued the Badger-Two Medicine area leases, wildlife biologists, hunters and other Montanans joined the tribes to protest the decision. Lou Bruno was one of them. 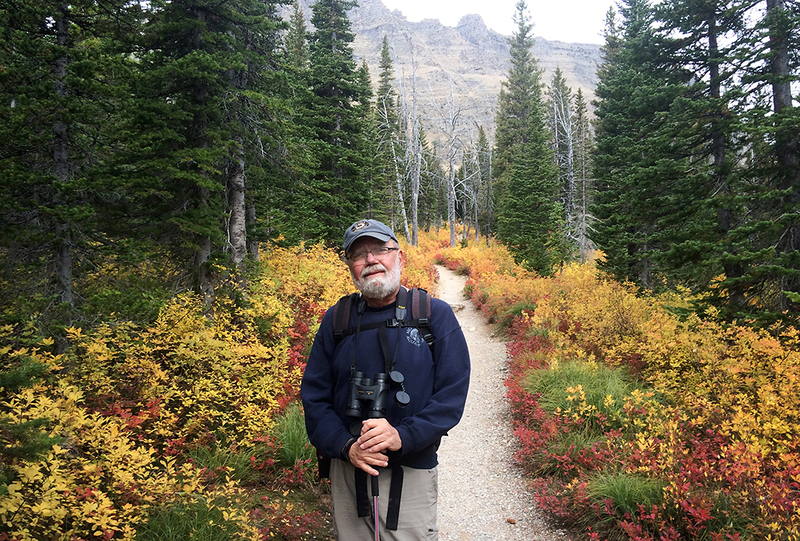 Originally from New York, Bruno moved to East Glacier, Montana, in 1975 after growing tired of seeing wild places taken over by industrial development. One cold night in 1984, he attended a public meeting about a proposed oil and gas lease in the Badger-Two Medicine area. After that meeting, it became clear to Bruno that the Forest Service was intent on drilling the land rather than managing it as a public resource that creates the greatest good for the most people. “I felt like it was happening all over again—that I had come to a place only to see it destroyed—and this time I wasn’t going to let it happen,” he says. Shortly after, Bruno and others created the grassroots, nonprofit organization Glacier-Two Medicine Alliance. The group has raised awareness about the Badger-Two Medicine area and successfully appealed the government leases for three decades. Preso, in Paradise Valley, Montana. 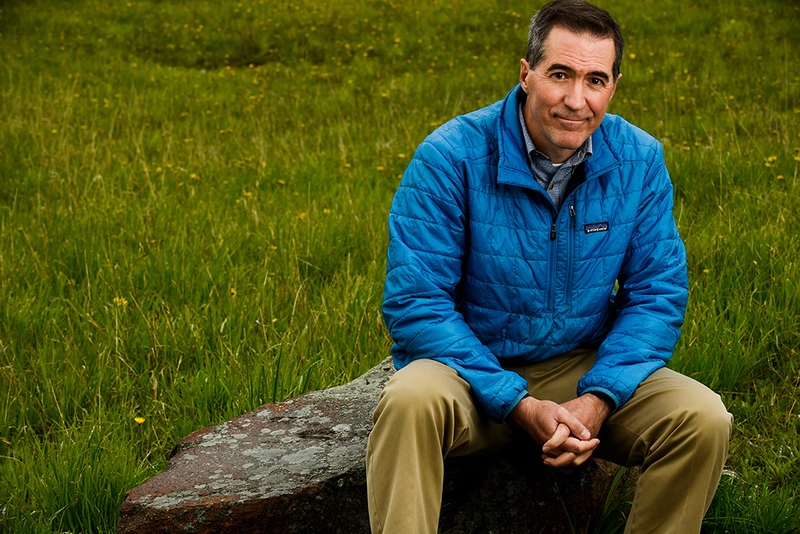 8Earthjustice’s Tim Preso has spent most of the past two decades using the courts to protect wildlife and wild lands in the northern Rocky Mountains region. As managing attorney of the Northern Rockies office in Bozeman, Montana, his team has successfully protected species including wolves, grizzly bears and bison. “It is my privilege to speak for these wild places and wild creatures in the federal court system,” says Preso. The legal question at hand is whether the remaining oil and gas leases in the Badger-Two Medicine area were ever valid in the first place. According to Earthjustice attorney Tim Preso, they were not. In the 1980s, at the same time that the Badger-Two Medicine area leases were issued, the government issued similarly flawed leases in Montana elsewhere along the Rocky Mountain Front. A federal court has since ruled that these leases were illegal and subsequently cancelled them. Earthjustice has requested that the government cancel the Badger-Two Medicine area leases on the same grounds. “All of these leases are cut from the same cloth and should share the same fate,” explains Preso. 9While Earthjustice’s Preso builds his legal case, the Blackfeet are building a movement, drawn together by the collective outrage over the oil industry’s demands to drill such a treasured landscape. The loss of cultural connections to primary religious lands is a concern for many American Indian tribes. The Blackfeet’s use of the Badger-Two Medicine area has been unbroken over time, and they feel they must protect it—not just for themselves, but for future generations. To that end, the entire Blackfoot Confederacy, the National Congress of American Indians and all tribal nations in Montana and Wyoming have vowed to protect it. Montana Democratic Senator Jon Tester and the band Pearl Jam have also thrown in their support. In addition, thousands of people have signed a petition asking Secretary of the Interior Sally Jewell and Secretary of Agriculture Tom Vilsack to cancel the leases. The view from above Dog Gun Lake, in the Badger-Two Medicine area. An alpine meadow overlooking Two Medicine Valley. Two Medicine River, in the Badger-Two Medicine area. Update, 11/2/15: The U.S. Forest Service has recommended to the Department of the Interior that it cancel all leases in the Badger-Two Medicine region after finding that industrial development would cause irreversible harm to the cultural and natural resources of the area. The announcement comes on the heels of a request by Blackfeet cultural leaders to reopen a 1993 lawsuit challenging the federal oil and gas leases in the Badger-Two Medicine region. 10In September 2015, the Advisory Council on Historic Preservation recommended that the government cancel the Solenex lease, along with the other remaining leases in the area, after determining that oil and gas development would ruin the area’s cultural and traditional values for the Blackfeet. A month later, Secretary of Agriculture Secretary Tom Vilsack recommended to the Interior Department that it cancel all leases in the Badger-Two Medicine area. On March 17, 2015, the Solenex lease was canceled. Then in November, the largest leaseholder, Devon Energy, agreed to cancellation of its 15 leases in the area. Devon Energy acknowledged in a signing ceremony with the Blackfeet and Secretary Jewell that the Badger is too culturally and historically significant to be industrially developed. And, on January 10, 2016, the Interior Department announced that it had cancelled the last two remaining leases, fully reimbursing the two leaseholders, Moncrief Oil and JG Kluthe Family Trust, for their payments associated with the leases. Although the departure of the two leaseholders from the Badger-Two Medicine marked a major milestone, “the fight is not over,” said Earthjustice attorney Tim Preso. Solenex has filed a legal challenge in an attempt to reinstate its lease. 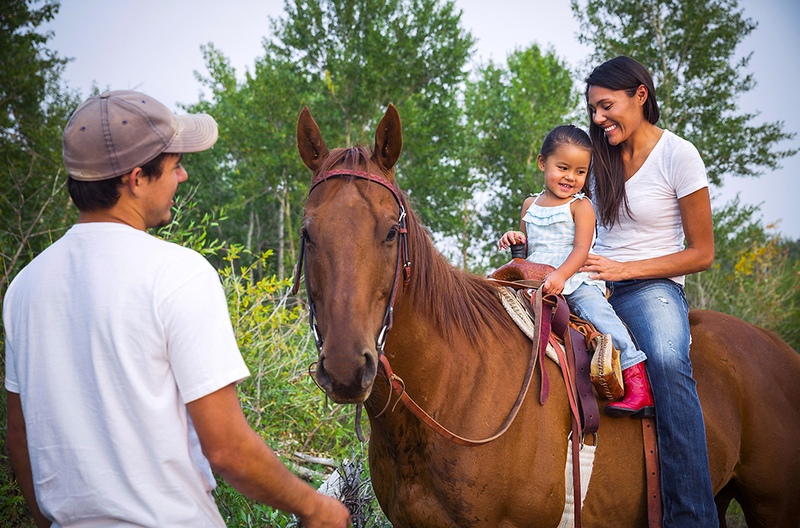 Earthjustice is representing Blackfeet cultural leaders, local community members, and conservationists in opposing the Louisiana oil company’s claims. “We will continue to advocate for this wild and sacred landscape until the last threat to its integrity is removed,” said Preso. 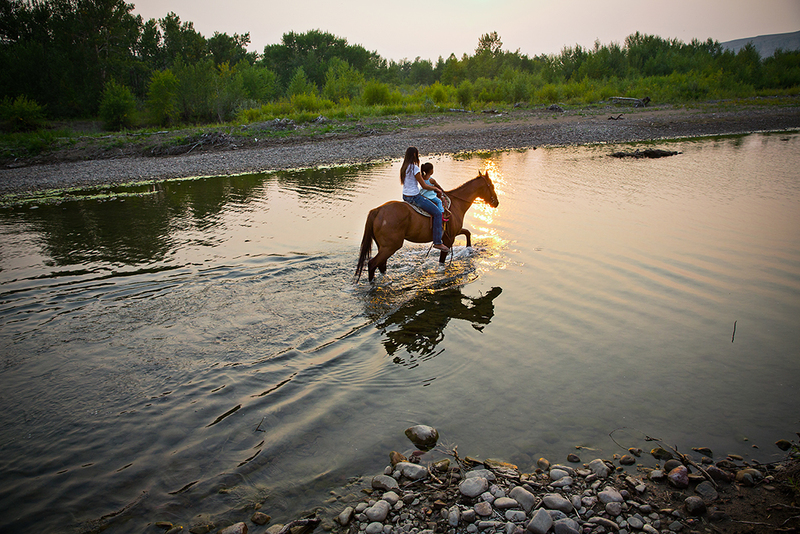 Edmo with her daughter, as the sun sets on another day in the sacred Badger-Two Medicine area. 11As the next generation steps in to defend the Badger-Two Medicine area, some are pushing to replace drilling rigs with solar panels and wind turbines. This will allow them to harness the earth’s energy sustainably, get the Blackfeet off fossil fuels and return to the decentralization of power as it was in the beginning. Kendall Edmo hopes to inspire those of her generation and younger to learn more about traditional knowledge and sacred landscapes like the Badger-Two Medicine area. 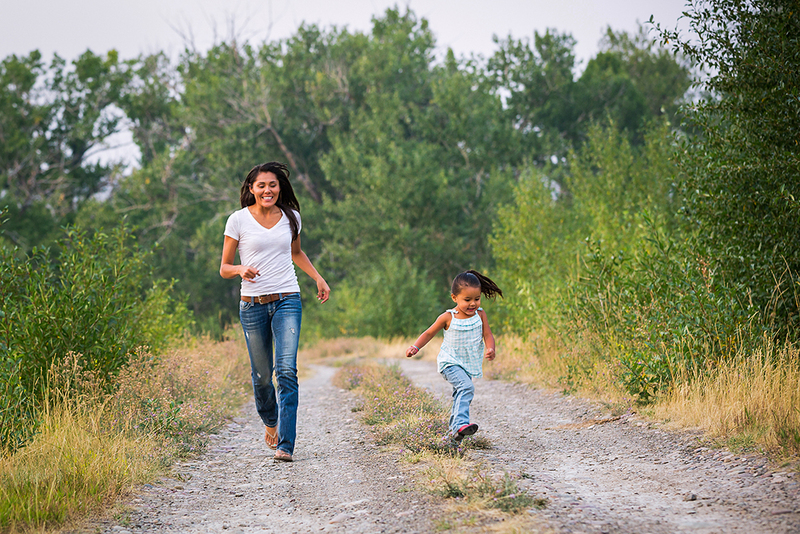 She plans to pass on what she’s learned to her son and daughter so that they, too, have a deep physical and spiritual connection to the land. Updated January 20, 2017. Published October 22, 2015. A version of this story appeared in the Earthjustice Quarterly Magazine, Fall 2015 issue. Earthjustice has spent the past 45 years taking on the toughest legal battles of our time, against those who would harm our communities, our climate, and the natural world. The Rocky Mountain Front, stretches for more than 150 linear miles in Montana, from the eastern slopes of the Rocky Mountains to the plains. It is home to many of North America's large mammals. 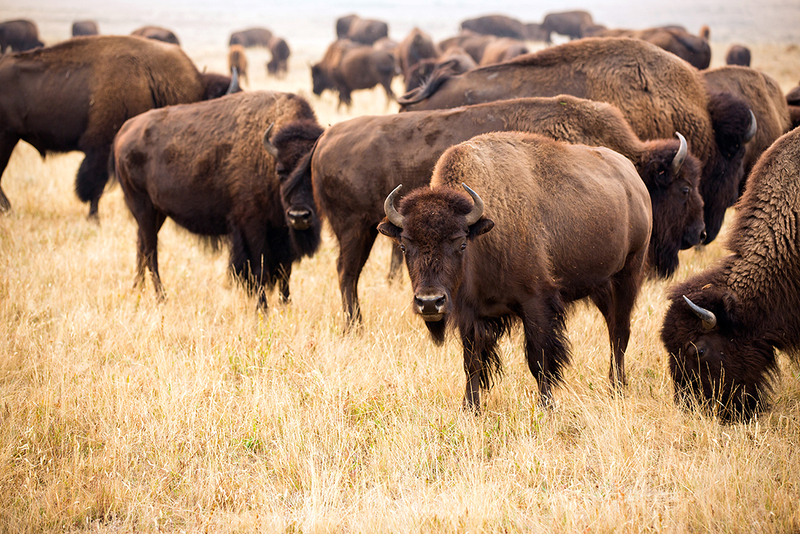 Every wildlife species present since the days of Lewis and Clark still exist and roam free—except for bison. – Kristen BoylesEarthjustice attorney, on a court ruling vacating a decision that would have forced the Bureau of Land Management to sell timber even when those sales would have harmed salmon and water quality.